CAPE TOWN, South Africa, June 26, 2012 (ENS) – Optimal Energy, South Africa’s electric car developer, will close its doors due to “slow availability of funding,” the company said in a statement. Earlier this year, the seven-year-old Cape Town company failed to secure the R9 billion (US$1.06 billion) worth of funding required for development and commercialization of its Joule electric passenger car. 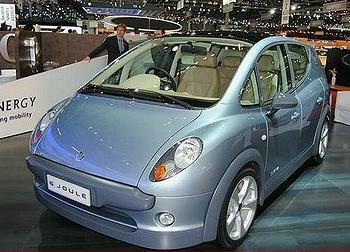 Joule was an electric five seat passenger car designed by Jaguar car designer Keith Helfet. It had a driving range of 300 kilometers (200 miles) and a top speed of 135 km/h (83 mph). Designed to achieve a Euro NCAP 4 star safety rating, it complied with the stringent EU standard. Although the Joule was internationally praised by motoring journalists for its performance, the car was never released commercially. A small pilot fleet of Joules was manufactured in conjunction with Hi-Tech Automotive in Port Elizabeth during 2010. The car was expected to be sold in South Africa as well as Europe from 2014, but production ceased in April 2012 after Optimal Energy failed to find a commercial partner. On Friday, the board and management of Optimal Energy announced their intention to close the company. “Although successfully launched in Paris in 2008 and Geneva in 2010 and attracting the interest of more than 130 distributors worldwide, the development of the Joule EV has been hampered by the slow availability of funding,” the company said in its statement. Optimal Energy’s funding came primarily through government investments, in particular, from the South African Department of Science and Technology through the Innovation Fund, as well as other private investments. Since April, Optimal Energy executives had been working with its major shareholders the South African Industrial Development Corporation and Technology Innovation Agency on using the electric drive train and battery system the company had developed to manufacture electric buses for local bus rapid transit systems.